ePublishing Knowledge BaseePublishing Knowledge BaseePublishing Knowledge Base Creating Image Galleries, Videos, Podcasts, and Downloadable FilesHow do I add or create a new podcast on my website? You've created a new podcast series and need to get it up on your site. This is the article to help you do just that. 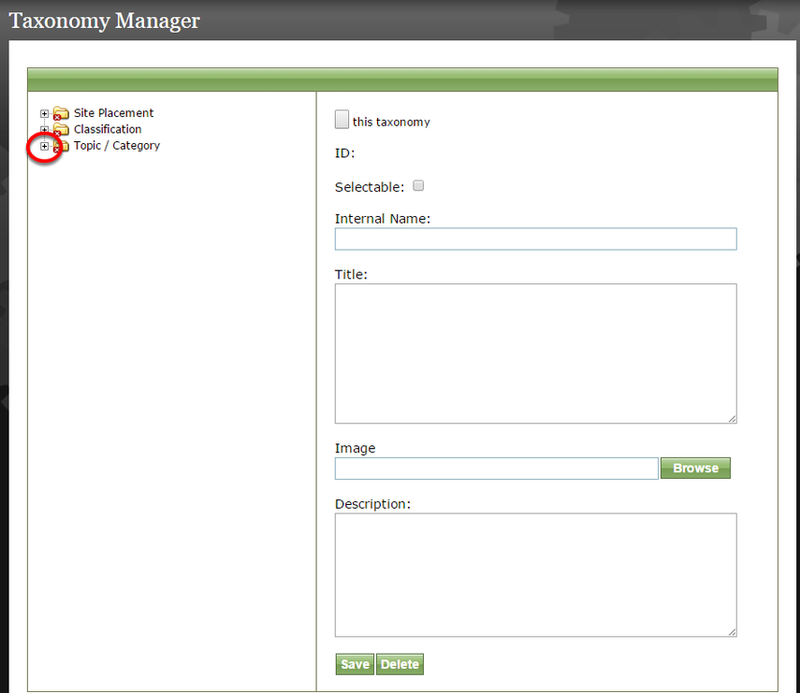 You will need to create the podcast's taxonomy in the Taxonomy Manager. There are some good reasons why you may want to consider adding your podcasts to a third-party service like iTunes, Soundcloud, or Stitcher. Learn more: How do I offer podcasts on my website? 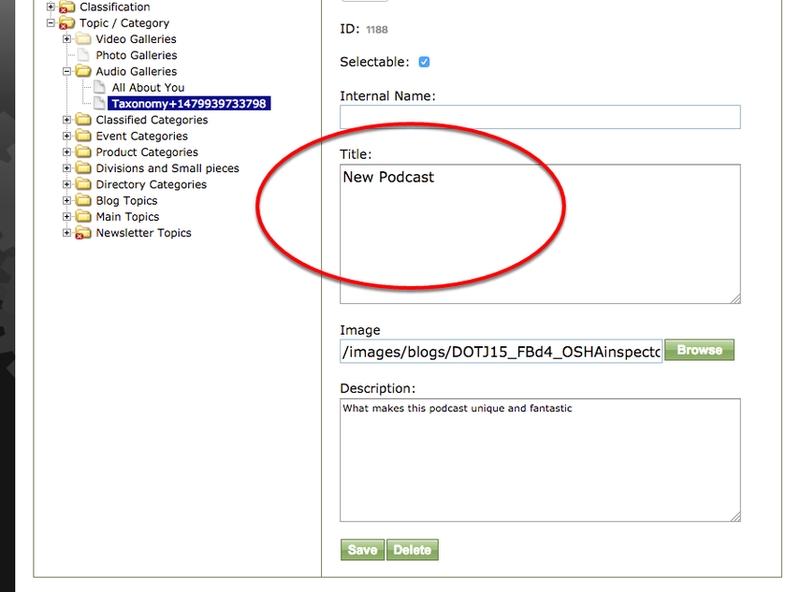 Add the new podcast series name within your Taxonomy Manager. Click on Browse to go to the Media Manager to find or upload the podcast's promotional image. 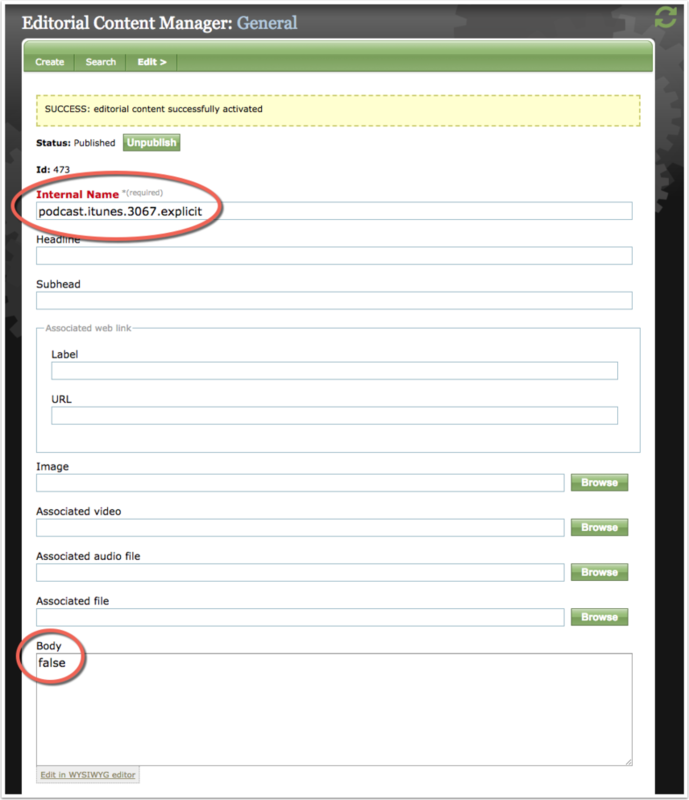 Learn how to add new images: How do I upload new media such as photos, videos and files? iTunes Categories: Podcast feeds must contain a category tag so that iTunes knows how to classify your podcast (Arts, Education, Business for example). The #### above should be replaced by the value of the podcast's taxonomy ID from Taxonomy Manager. The value for the tag should be placed in the Body field of the Editorial Content. Note that if you do add spaces after the colon or comma, they will be stripped out when we generate the RSS. iTunes Categories: Podcast feeds must contain an explicit tag so that iTunes knows whether or not your content is appropriate for minors. Add a description. 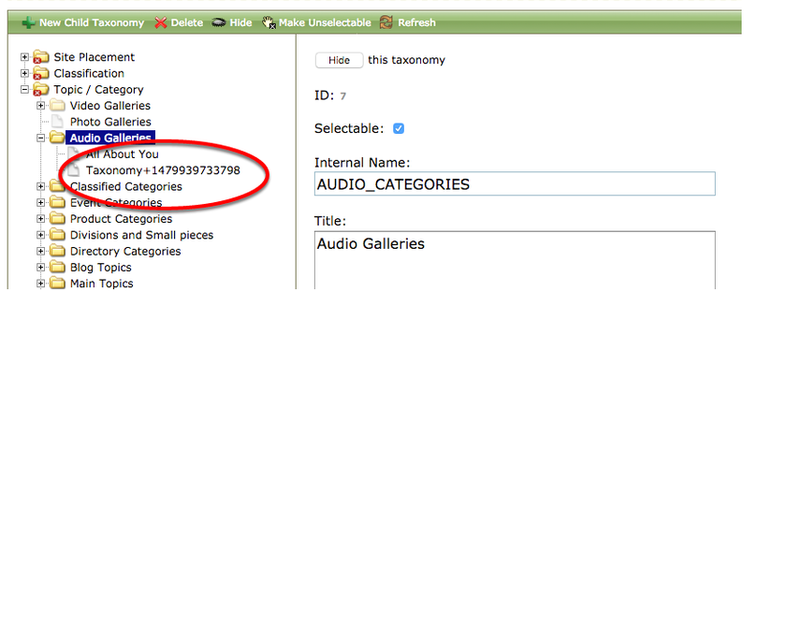 This will appear on all index pages for topics/categories on your website and is required when submitting to iTunes. 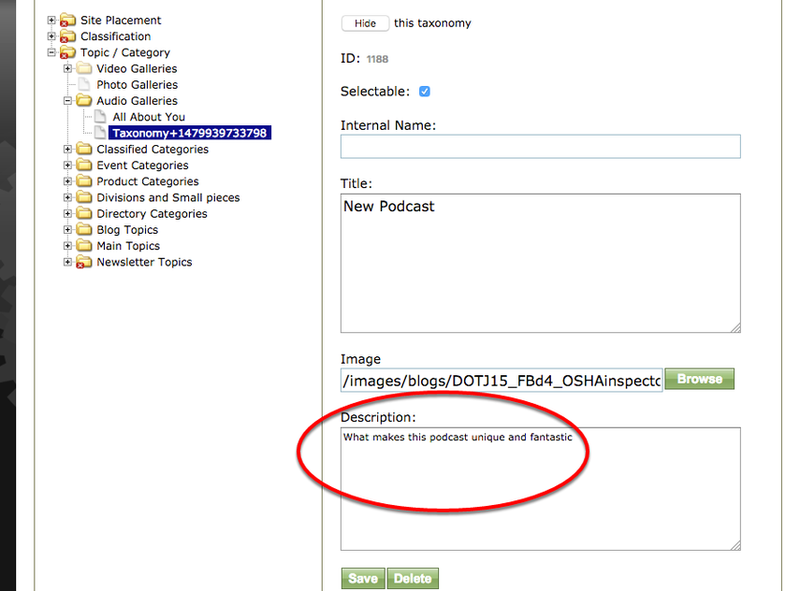 If you would like to assign that taxonomy to a podcast episode, return to the Media Manager for an uploaded audio file and select the new topic/category. This is required when submitting to iTunes. 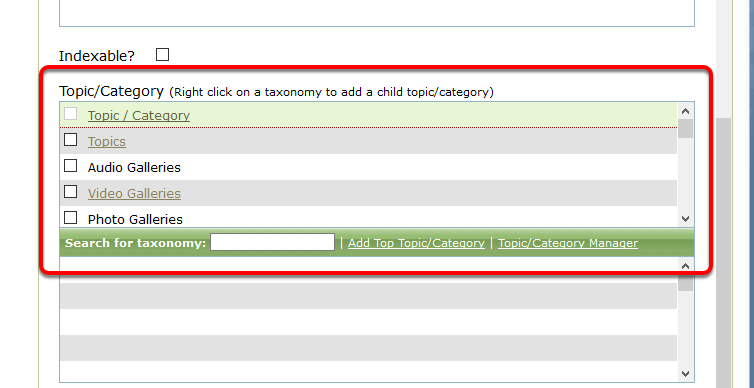 To delete a topic/category in the Taxonomy Manager, select your topic/category and click Delete at the top of the Taxonomy Manager. 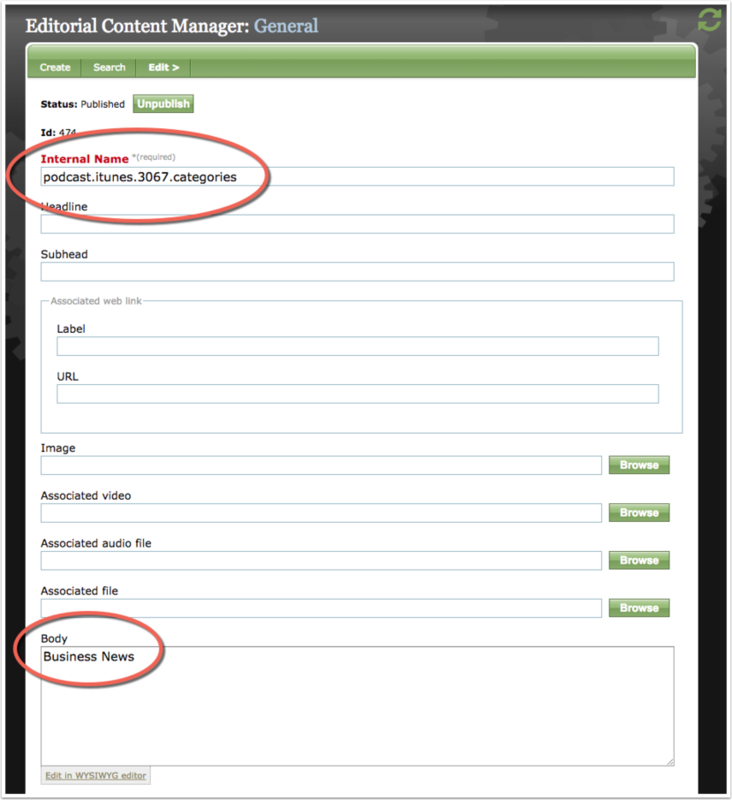 Zoom: To delete a topic/category in the Taxonomy Manager, select your topic/category and click Delete at the top of the Taxonomy Manager. How do I add episodes to a podcast? The following article takes you to the next step: How do I add a podcast to my site? If you have any questions, please talk to your project manager. When submitting to iTunes you receive the message "There is no category tag in your feed, or the category tag is empty." So if the podcast taxonomy is 123 then the EC name is podcast.itunes.123.categories, and it contains text in the format "Top-level Category: Subcategory". 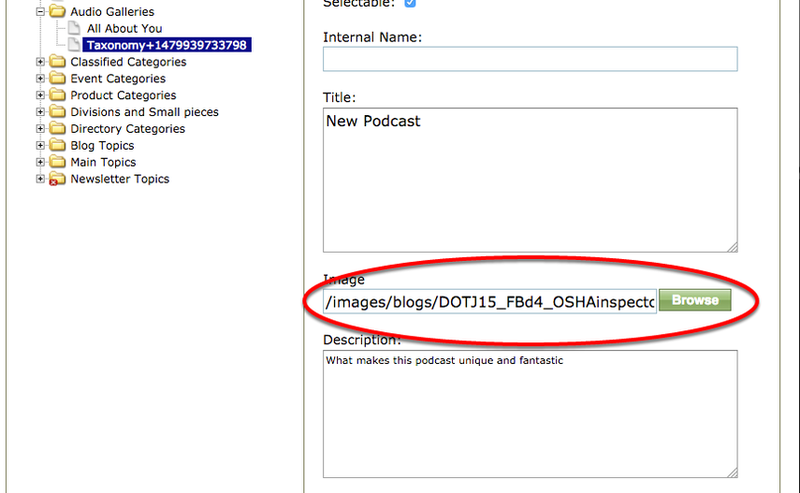 Explicit tags are set using a similar EC - podcast.itunes.123.explicit. It can have one of 3 possible values: "yes", "no", or "clean". The latter indicates that the podcast is a censored or redacted version of a separate, explicit podcast. Prev: How do I add a podcast episode to my site? 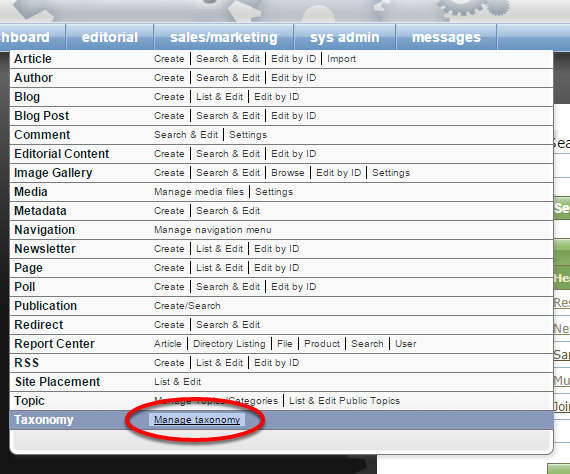 Next: How do I select related articles, blog posts, listings, events, products and more to appear next to my content?